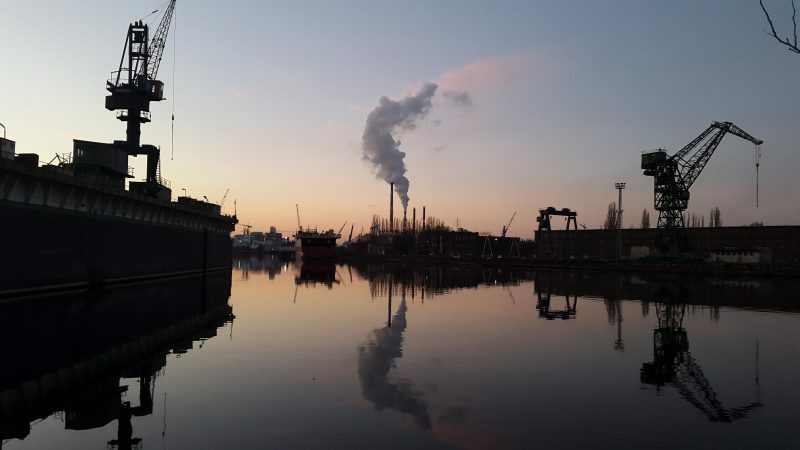 The Gdańsk shipyard, a springboard for democratic changes in then-Communist Poland of the 1980s. A 2016 photo by Filip Stojanovski, CC BY. Even though cultural ties between countries that formed ex-Yugoslavia and Poland are not too frequent, there's one form of communication that has been an exception. Over the last four decades, rock music had formed a peculiar bridge bringing the people of these countries closer together. Republishing music in online video format enables us to take a peek into these developments. The conversation started in the early 1980s, with the songs of Zagreb-based, multi-ethnic band Azra , which commented directly on the unfolding political situation in Poland at the time. Azra was one of the key bands of the Yugoslav New Wave , which built upon the pop and rock base by combining new foreign influences like punk, ska and reggae, with native musical elements and addressing new themes — from urban existential angst to social issues and sometimes, political criticism. It was part of a well established popular music scene , which featured mainstream rock and a number of sub-genres. Unlike other European socialist countries, non-aligned Yugoslavia was not part of the Eastern Bloc. In the cultural sense, it was much more open to Western than Eastern influences. Due to language barriers, its music industry mostly focused on internal consumption, not export. However, some Polish musicians acknowledged the work of their Yugoslav counterparts, producing covers of their songs. Over the years, this interest blossomed in the form of the tribute album “Yugoton” , released in 2001. This project lead to the formation of the supergroup Yugopolis , whose members were already successful as solo artists or as part of other groups, and which published two additional albums in 2007 and 2012, as well as several compilations. The 1988 song's lyrics  can be interpreted as a reference to the need for political changes towards greater freedom. Another Yugopolis YouTube hit reinterprets another Azra classic — their first single, “Balkan”  (“The Balkans”) — which is so popular that fans provided full translation in English online . With the breakup of Yugoslavia, Azra ceased to exist. Its front man, Branimir “Johnny” Štulić , emigrated to the Netherlands, refusing to return to any of the countries of the war-torn area.